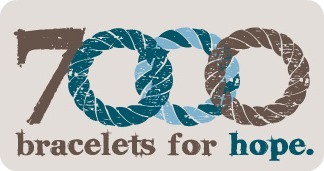 7000 Bracelets for Hope- What a touching thing to organize. Every time I visit Lori's blog I get some thing new and enthusiastic. Dana Point, CA 92629 . The Global Genes Project, an advocacy group for children's rare disease awareness is going to send it to the seven thousand families having children with rare diseases to show them love and support. You may visit this site to see how you can help. 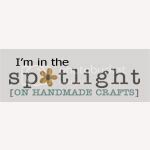 112 jewelry artists have already joined knowing it from Lori's blog. 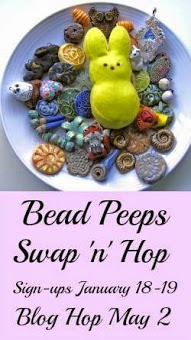 You can see their wonderful work if you visit Lori's blog to get the links. I wanted to be a part of it too. So what if I am late! Better late than never. So, I started thinking about my blue bracelet. My thoughts took me to Sedona, Arizona where I went last year. I was pretty sick at that time. I remembered buying some turquoise beads from a bead shop and then I was sitting facing the red monolinths, waiting for my husband. An interesting feeling came to me. I had heard about the vortex power of Sedona. I closed my eyes and prayed that may the beads in my hand have magic power to heal and cure the wearer. I don't know who'd get these beads in future, but I had known the healing power of turqoise. I prayed for myself too, may I be cured soon, so that I can sit and do my beading. My prayers were answered. I hope the rest be true too. With these thoughts I created this bracelet with tiny turquoise and silver beads. They are individually strung and then I knitted the silver wire part with a pair of very thin knitting needles to form the half circle part. At the end I finished adding some oval turquoise beads and silver adornments as you see in the picture. There is an extender to accommodate different wrist sizes. I'll send it soon to the address given with a note and my prayer. May it heal a child. 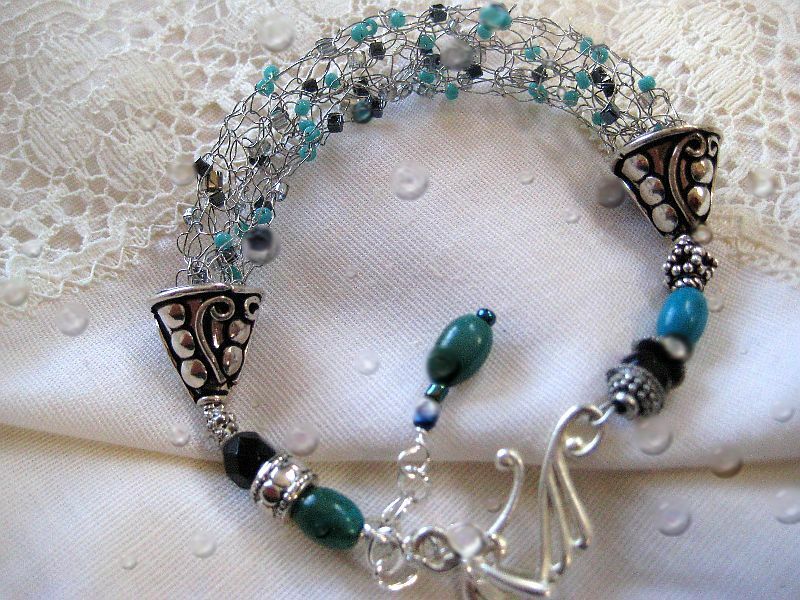 Oh.. your bracelet turned out so very pretty, I'm certain that whomever receives it will love it also. I can tell a lot of time and thought went into the finished piece. Glad you were able to post it. Well, I was hopping to see your button project, and then found your bracelet for 7000 Bracelets for Hope. Not sure how I missed it during the hop, but I sure am glad to see it. Absolutely beautiful design. It is so delicate, and I'm sure the recipient will feel treasured as she wears it. That is gorgeous, and I'm touched you're participating!